ICTA full time staff, Rachel, laughing as her picture is taken while setting up our ICTA Global Missions exhibitors booth at an ATP Master's Series tournament in the USA! Rach has been with ICTA since 1999. We love hearing from our members and our visitors! We receive many, many supportive emails, phone calls, and letters. They mean so much! 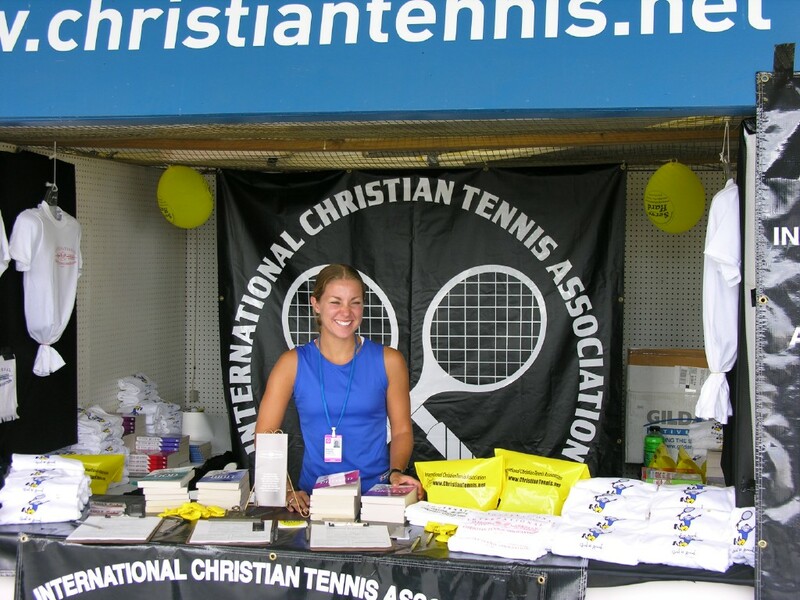 The International Christian Tennis Association is a not for profit Christian sports ministry with an international headquarters in Florida, USA. You may contact ICTA via email or by filling out the following contact form. God bless and we look forward to hearing from you! Please fill out the above form to contact ICTA. We believe that for the salvation of lost and sinful men (women) regeneration by the Holy Spirit is absolutely essential.